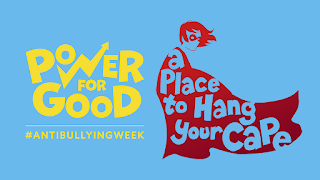 Anti Bullying Week begins on Monday 14th November 2016 and the national theme this year is Power for Good. Anti Bullying Week will be kicked off on Monday morning with a special Anti Bullying Week Assembly led by Ms d'Archambaud. 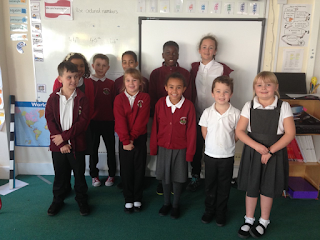 During assembly the class challenge "We all feel safe and happy in school will be discussed. During their weekly meeting, Ms d'Archambaud will be training the Learning Detectives how to solve problems calmly. They will also be learning how they can help other children sort problems out peacefully and calmly. Each class will be given a secret challenge linked to the weekly challenges. They will feedback in Friday’s Collective Worship on their challenge. During the week all classes will discuss their individual and class responsibility in making sure that Garsington is a safe and happy place. Together they will produce a document which will be used as part of a whole school display in the main corridor. 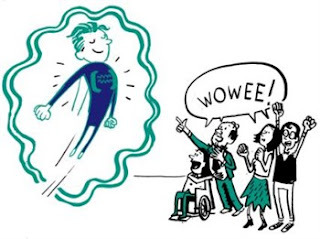 To empower children and young people to make a noise about bullying – whether it’s happening to them or to someone else, face to face or online. To help parents and carers have conversations with their children about bullying – both as a way of preventing bullying, and to help children who are worried about bullying. other issues that affect their lives, and are supported to report all forms of bullying. To equip teachers to respond effectively when children tell them they’re being bullied. 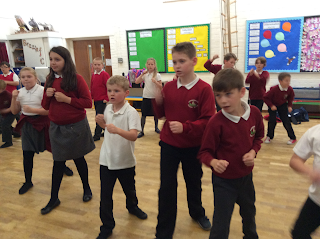 On Tuesday all pupils will have the opportunity to try out Karate with our club leader Luke. Karate is a an excellent feel good sport to try in Anti-Bullying Week as it builds confidence, promotes teamwork and empathy and is of course useful for self-defense! All classes will look at our school's Anti Bullying Leaflet during the week and make suggestions for things that need to be updated and added. The leaflet will then be updated and distributed to parents. Throughout the week teachers will be talking to pupils to make sure everyone knows what to do if they feel worried. Our Worry Policy explains what pupils should do if they are worried about anything. To remind pupils of the ways that they can work together to make Garsington a happy and safe place. To make sure pupils know what to do if they are unhappy or sad. To communicate to parents how we keep children safe and what to do if they are concerned. To develop friendship links between classes. On Wednesday all the pupils will get the chance to meet our local Police Community Support Officers who will answer the children's questions and give some simple advice around Stranger Danger. Pupils in Year 2 to Year 6 will watch the jigsaw film from the Think You Know website and reflect on the messages it contains in order to come up with their own ideas as to how to stay safe online. The pupils will then develop their own ideas for 'acceptable use' which we can then incorporate into our online safety policy. Pupils in FS, Y1 and Y2 will learn about the SMART rules that are displayed near every computer. All classes will complete the survey during the week. On Thursday we will review the week with our Anti Bullying Closing Assembly. Each class will let the school know what their secret challenge was and how well it went.